Glance at the cover of “Glamour” or “Cosmo” magazines, and chances are your eyes will meet the baby blues or emerald greens of a smirking model with flawless skin. Her face is smooth and airbrushed, her every imperfection obscured with foundation and Photoshop. But when that model looks in the mirror, she doesn’t see the same face you see on the magazine cover. Touching on this issue of unrealistic beauty standards, the Alpha Kappa Alpha Sorority, Inc. — the oldest Greek-letter organization established by black women in the United States — hosted an event to boost female self-esteem and attack beauty norms. The event, which was held in room 837 of the William Pitt Union from 9 to 11 p.m. Tuesday, was intended for college women. 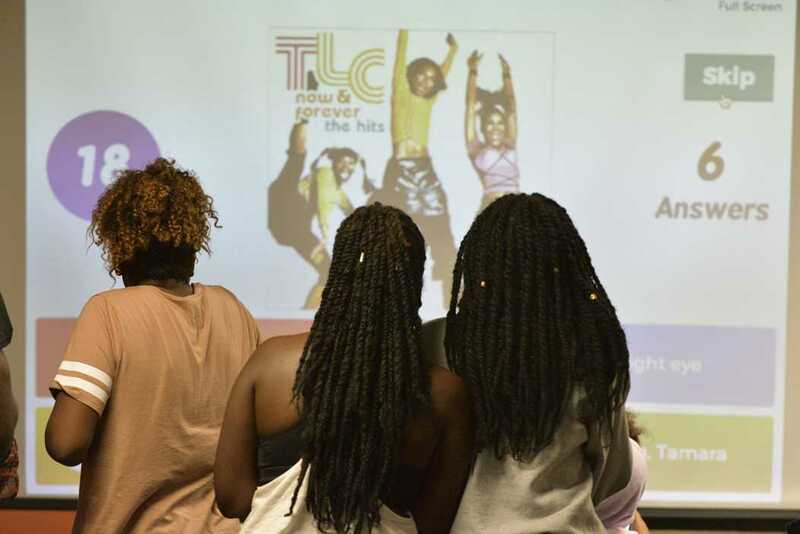 About 20 students and community members attended the event, “Lady of Steel,” which marked the close of ALA’s second day of SKEE-week — a week featuring programming that promotes awareness for the services the sorority provides to the community. Shawnee Sparrow, a member of the sorority, started the night by teaching the audience how to recognize low self-esteem in themselves and others. Sparrow identified the tendency to measure one’s own beauty against the ideal female beauty standard women see in movies and magazines as one of the chief causes of low self-esteem. Monay Cowan, a first-year communications and psychology double major, who heard about the Lady of Steel event over Instagram, agreed. After Sparrow finished her brief presentation, the event leaders took out a beach ball with questions regarding facets of self-esteem scrawled over it in black marker. Following the leaders’ instructions, the audience members passed the ball around from person to person. When they caught the ball, they read and answered whichever question their right thumb landed on. Because of the prevalence of issues with self-esteem and other related mental health concerns, Joslyn Wilburn, a senior communications major and SKEE-Week chairperson, said it’s important for AKA to host events like Lady of Steel to give these serious problems more attention. According to Wilburn, societal expectations for women’s body shape and size are just one example of how these preconceived ideals often do more harm than good.